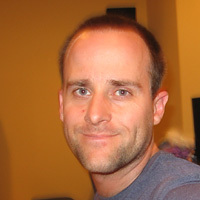 Nick Edgar is a senior software developer with IBM Ottawa labs (formerly known as Object Technology International), and has been with OTI/IBM full-time since 1992. Nick currently works on the Jazz project, including various aspects of the Eclipse and Web UIs for SCM, Process, Build, and ALM integration scenarios. Prior to Jazz, Nick was the technical lead for the Eclipse Rich Client Platform UI (aka the Workbench). Nick has played an active role in Eclipse since its inception, working on various aspects of the Runtime, Workbench, and Rich Client Platform. Nick was also involved in the development of Envy/Developer, IBM Smalltalk, VisualAge for Java, and VisualAge Micro Edition. He once implemented a reasonable facsimile of MacPaint in ~3500 lines of 6502 assembly code on the Apple ][+. Hobbies include: playing piano (mostly classical), Chinese Martial Arts. This page was last modified 09:54, 13 June 2009 by Nick Edgar. Based on work by Nick Edgar.